I have used the seeds of the papaya I had with my afternoon smoothie to marinade some chicken breasts for dinner. The seeds have an amazing peppery taste and they have the bonus of being able to eat them whole, unlike black peppercorns. 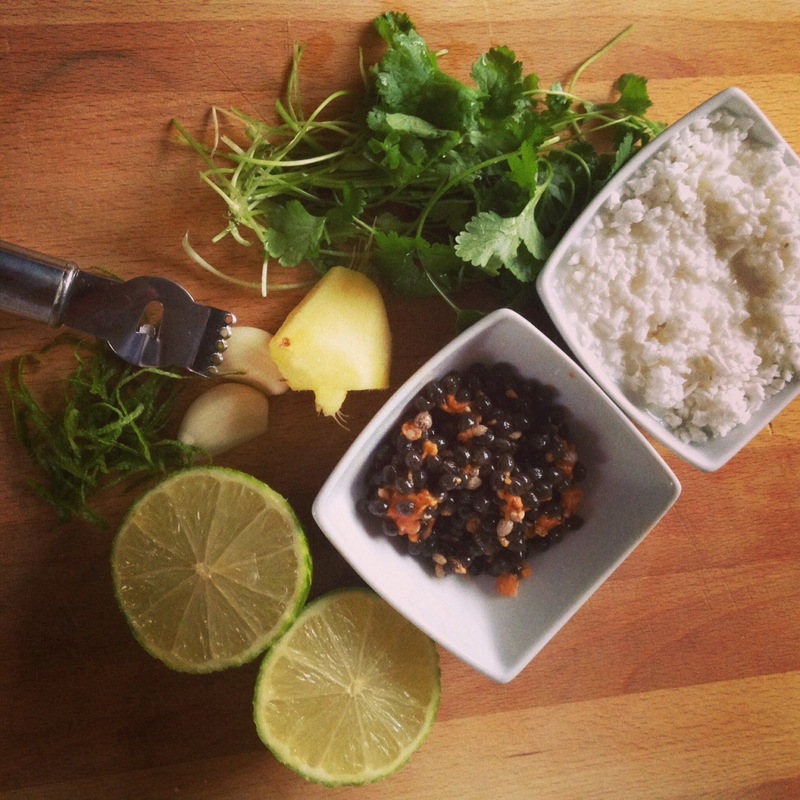 Put all the ingredients in a food processor, save some of the papaya seeds to add whole. 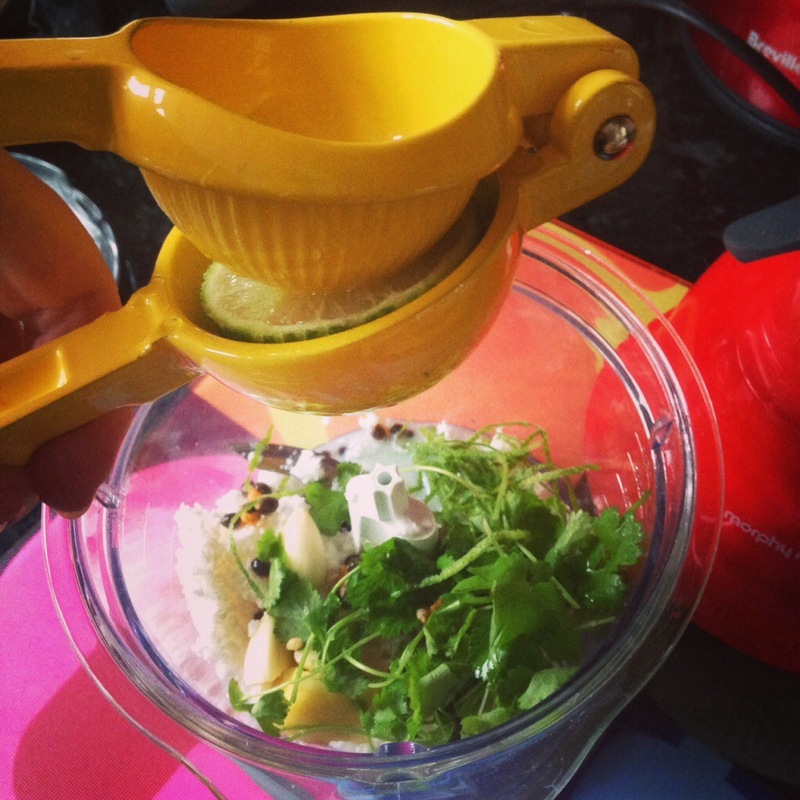 I have a great gadget that gets all the juice of limes and lemons so easily. It works a bit like a giant garlic press. I love it!! 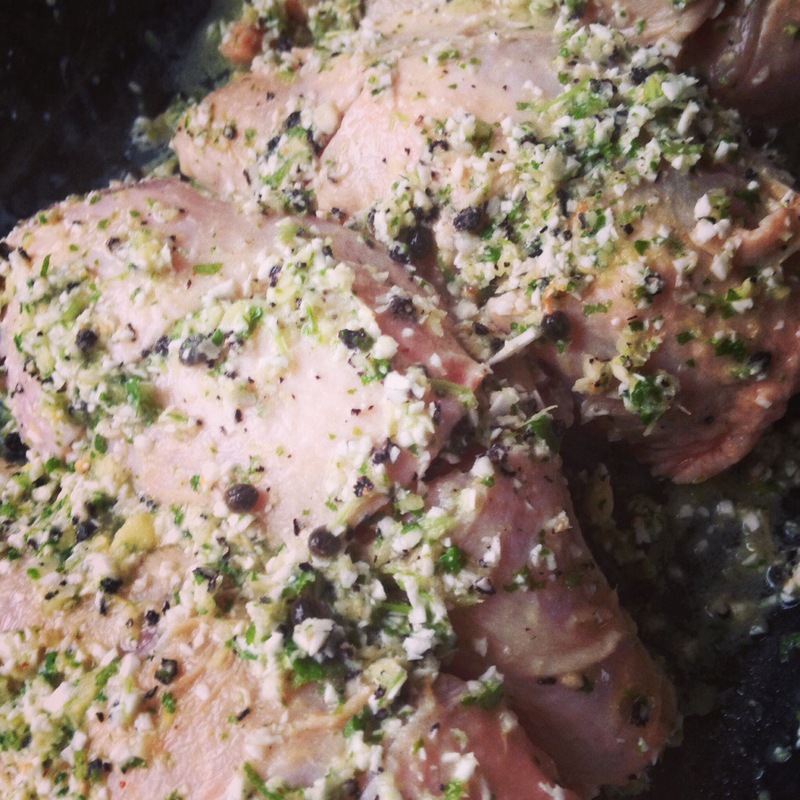 Marinade the chicken for at least 1 hour or overnight. Roast for 45 minutes. Cover with foil half way through so the marinade doesn’t burn. 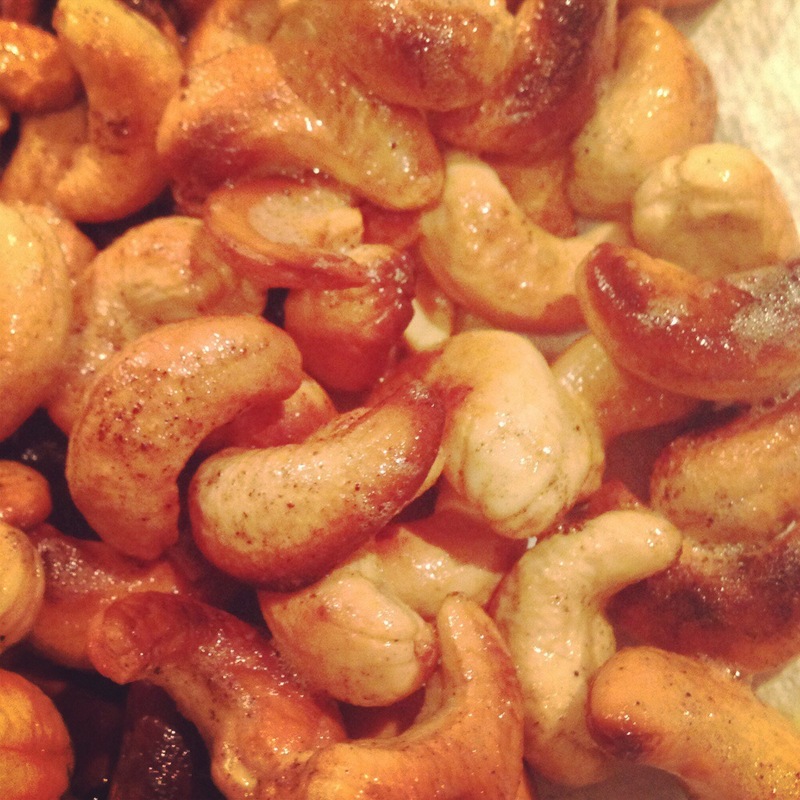 To serve roast some cashew nuts in some butter until golden, add some pimentón (sweet paprika) and sea salt and reserve. 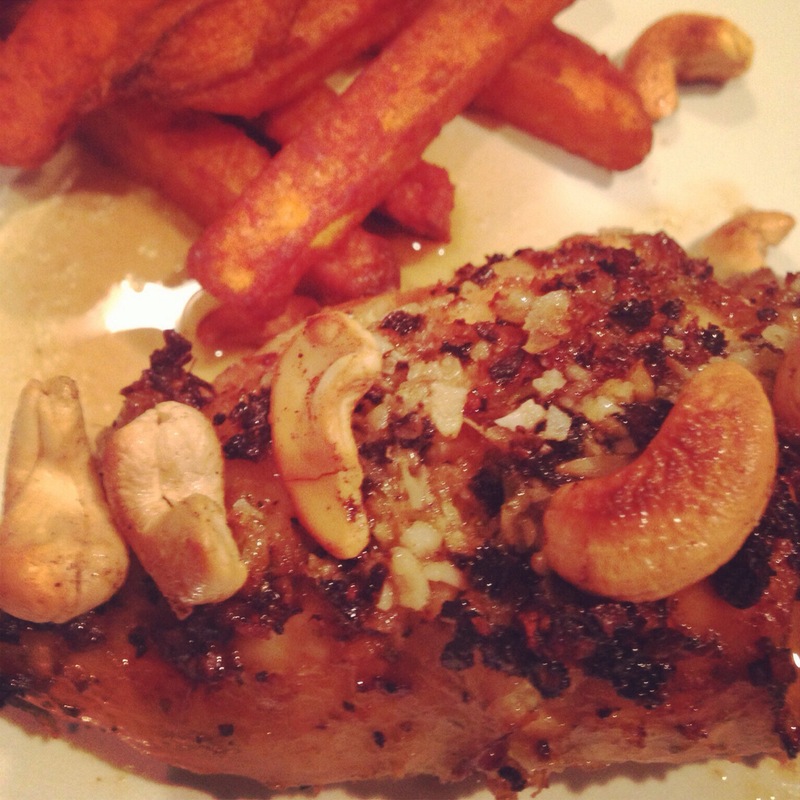 Serve with the cooking juices, the reserved cashews and some sweet potato chips. This entry was posted in baking, catering, cooking, fitness, food, health, home, home cooking, kitchen, love, nutrition, small kitchen appliances and tagged cahew nuts, chicken, easy, papaya, roast, seeds. Bookmark the permalink.